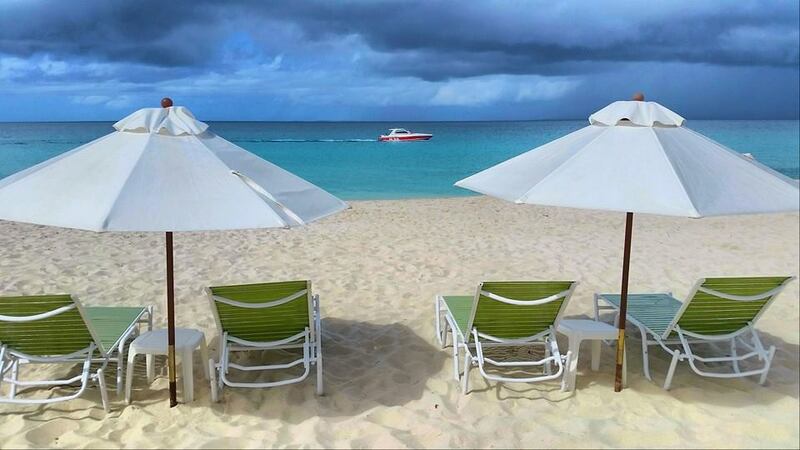 Anguilla’s Trattoria Tramonto recently opened a beach bar on their property and now beachcombers on Shoal Bay West have another option when it comes to quenching their thirst. 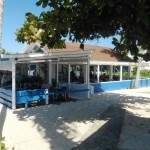 Long a popular spot for lovers of Italian fare, swimsuit clad patrons can now put any dress code concerns to the side and belly up to the beach bar in whatever outfit their sunscreen was slathered on around. 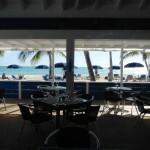 It’s a concept Bob and Melinda Blanchard figured out with their restaurant on Meads Bay, opening the Beach Shack and offering the same quality food to lovers of the sun who didn’t want to change out of their wet clothing into their Sunday best attire. 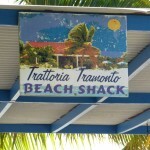 Some people even say the food at the Beach Shack is better than what’s served in the restaurant. Whether or not that’s true, it’s the more appropriate landing spot for their trip to the beach. 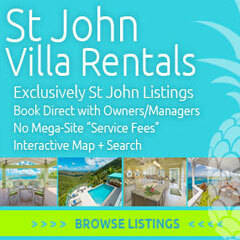 It’s also an idea Timothy Beach Resort in St. Kitts finally latched onto. 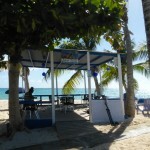 After watching most of their customers leave the resort grounds and walk 100 feet to the endless line of beach bars located on the Strip, they decided opening their own beach bar would be a good idea and now the Dock is packed most evenings. 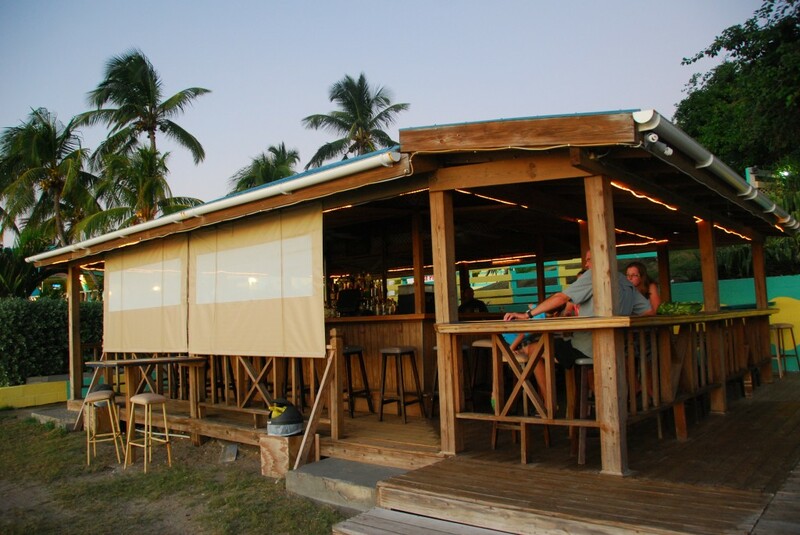 It quickly became our preferred spot for sundowners on our last visit to St. Kitts and is yet another reason it would be hard for us to stay anywhere else on the island. 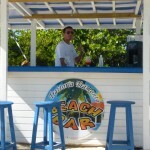 If you happen to visit Anguilla, stop by Trattoria Tramonto and give the new beach bar a test drive. Let me know what you think and if you have the time, send me some pics and I’ll share them on the blog. 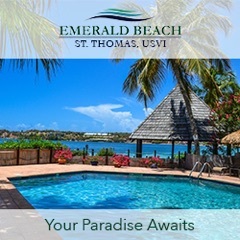 Then reach out to your favorite restaurant/resort operating sans beach bar and emphatically exclaim “You need to do this!” They’ll thank you for it later and maybe even offer you complimentary drinks for life. Maybe. Trattoria Tramonto images provided by Joe Stauber. Thanks, Joe!